On his Fox show from last Friday, the 20th and the day before the world was supposed to come to an end, Glenn Beck made it a point to mock Harold Camping, the religious crank who was making that prediction. Glenn Beck, Mr. Apocalypse Now, mocked another crank for moving in on Beck's territory. From Beck's website is the story, "It's the end of the world as we know it:"
As many of you have heard, several apparently well funded idiots are claiming that the world will end in judgement Saturday precisely at 6pm. Many of you are also aware that the Bible explicitly says no man will know the day nor hour the Son of Man returns. But that’s not stopping these clowns from pretending they have the answer. And at the end of March this year Beck was predicting that the end was near. For Beck, Camping is an "idiot." Everyone knows that the world cannot come to an end until Beck's ego is satisfied by finishing his plans to "restore courage" in Jerusalem this summer. Once Beck makes his speech to the world and undermines American national security in the process, then the world might come to an end. Beck calls Camping an idiot in the same time frame that Beck organizes and announces plans to have a large gathering of vulnerable Americans gather in the land of suicide bombers. Apparently Beck didn't think it through to consider what might happen if the wrong people are inspired to become courageous. This event is fraught with unnecessary dangers for the participants, but for Beck Camping is an "idiot." Clearly Beck is not sufficiently self-aware to know when he's standing in front of his glass home throwing rocks. Update, 5/24/11: On his show, The Last Word, socialist commentator, Lawrence O'Donnell, discussed Camping's fraudulent prediction with his guest, Obery Hendricks, professor of Biblical interpretation at New York Theological Seminarian and author of The Politics of Jesus: Rediscovering the True Revolutionary Nature of Jesus' Teachings and How They Have Been Corrupted. 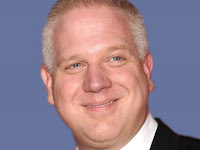 Hendricks mentions Glenn Beck in a manner consistent with the argument of this post. O'Donnell and Hendricks will have the last word about Beck and Camping's false prophesies.